From time to time we send announcements regarding other events of interest. Tuesday, October 24, 2017, 9:00 a.m. - 12:15 p.m.
WASHINGTON DC, USA -- HEALTHCARE UPDATE NEWS SERVICE -- OCTOBER 15, 2017: You are invited to join Health Affairs on Tuesday, October 24, in Washington, DC, for an important event, "Choosing Wisely: Opportunities and Challenges in Curbing Medical Overuse." "Choosing Wisely" is an initiative launched in 2012 by the American Board of Internal Medicine (ABIM) Foundation in partnership with Consumer Reports -- and which has received funding from the Robert Wood Johnson Foundation -- to advance a national dialogue on avoiding wasteful or unnecessary medical tests, treatments and procedures. At the five-year mark of the initiative, Health Affairs will gather leaders of the effort, plus distinguished practitioners and researchers, to take a close look at what's been accomplished so far and to identify the challenges that remain. We will unveil two new Health Affairs papers on the topic at the event, and there will be additional announcements regarding the future of Choosing Wisely. Presenters will include leaders from these organizations and practitioners, as well as authors of Health Affairs articles on the topic. Neel Shah, Founder & Executive Director, Costs of Care, on "The Reformation of Medical Education Toward Choosing Wisely"
Health Affairs is grateful to the Robert Wood Johnson Foundation for its generous support of the event. 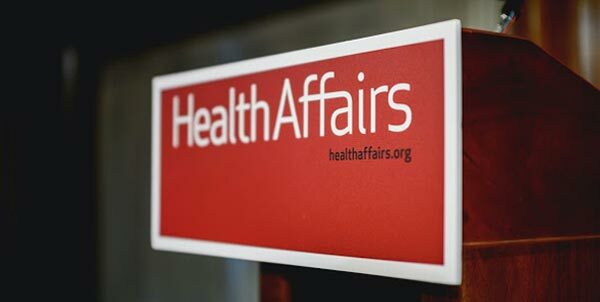 Health Affairs is the leading peer-reviewed journal at the intersection of health, health care, and policy. Published monthly by Project HOPE, the journal is available in print and online. Additional and late-breaking content is found at www.healthaffairs.org in addition to Health Affairs Today and Health Affairs Sunday Update. You can change your email preferences at Health Affairs Alerts.